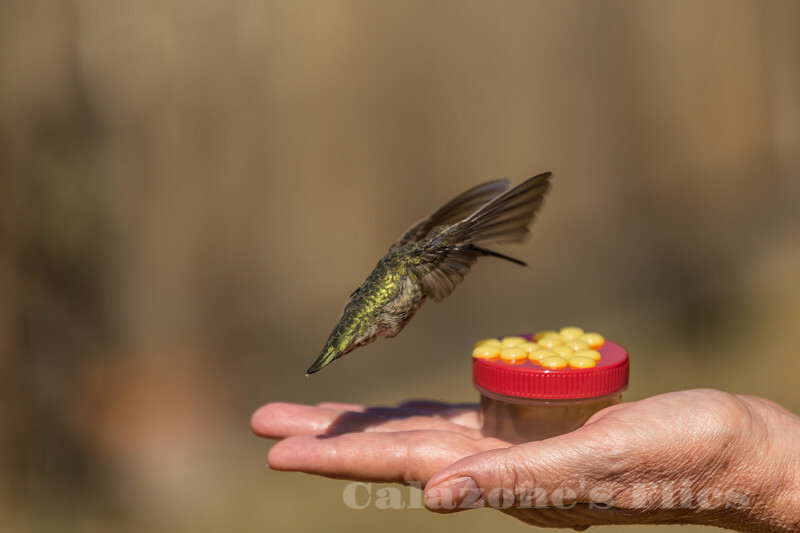 Anna's hummingbird (Calypte anna) is a medium-sized stocky hummingbird native to the west coast of North America. This bird was named after Anna Mass�, Duchess of Rivoli. In the early 20th century, Anna's hummingbird bred only in northern Baja California and southern California. The transplanting of exotic ornamental plants in residential areas throughout the Pacific coast and inland deserts provided expanded nectar and nesting sites, and the species was able to expand its breeding range greatly.